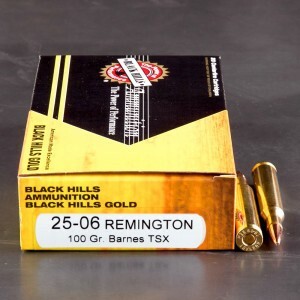 25-06 ammo has a fascinating history. 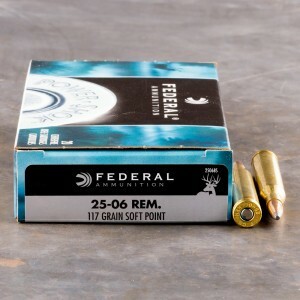 The round was what’s called a wildcat. 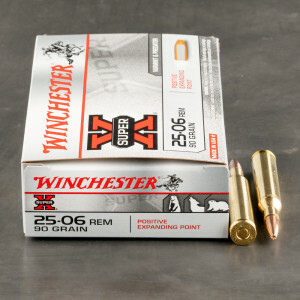 Wildcat cartridges are often only handloaded, and if a company produces a wildcat it is often very expensive. 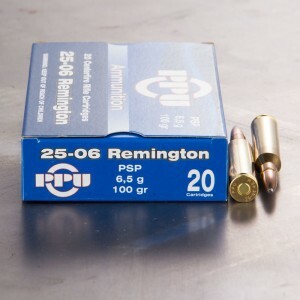 The 25-06 was a wildcat cartridge for over fifty years before Remington recognized it’s potential and adopted it as a standard factory cartridge. 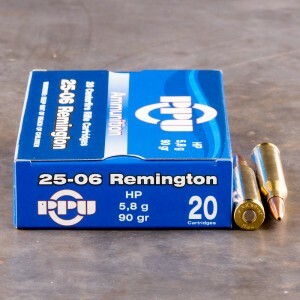 The 25-06 came to be when enterprising gunsmith Charles Newton necked down the popular 30-06 to accept a .25 caliber bullet. 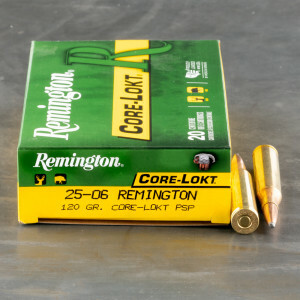 The round was adopted by diehard fans of it’s lighter recoil and decent power. 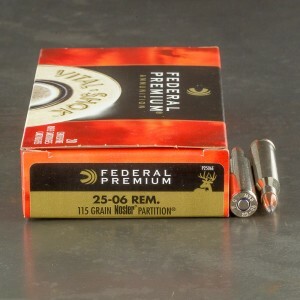 The Frankford Arsenal experimented with the round, but found it to be of little use for military applications. Until 1969 the round seemed to only used by the most dedicated gunsmiths. 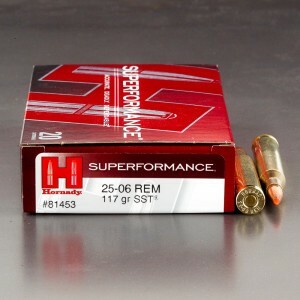 After the round’s adoption it proved to be popular for hunting. 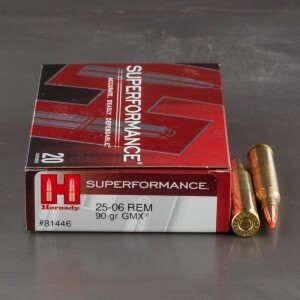 The round has significantly lighter recoil than a 30-06 and is still capable of reaching 3,200 feet per second and delivering 2,500 foot-pounds of energy. 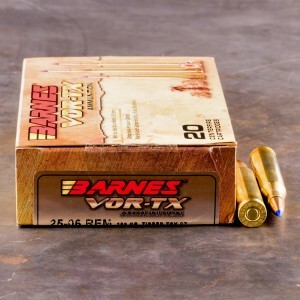 The cartridge is known for it’s flat shooting capability is popular for wide open ranges. 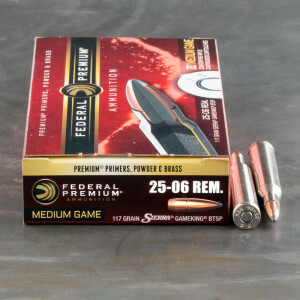 The cartridge is capable of taking medium game like deer and hogs and has gained popularity slowly over the last few years. 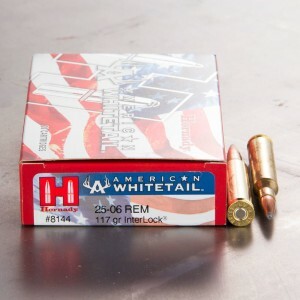 Most modern ammunition manufacturers keep a hunting load for this cartridge and most major gun manufacturers offer their rifles in it. Service was excellent. Got the order very quickly. 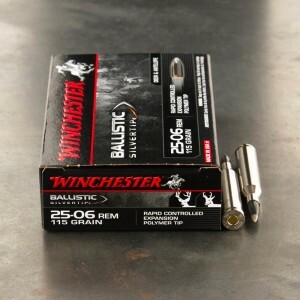 If they ever offer free shipping, I'll stock up.